If you have an AT&T phone or tablet, you currently can't install the Amazon Appstore or purchase apps from it. 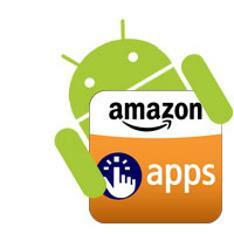 AT&T is working to allow customers to install the Amazon Appstore and purchase apps from it. To sign up to be notified by AT&T when you are able to install the Amazon Appstore on AT&T phones and tablets, visit the AT&T website. Apps require access to certain systems within your device. When you go to install an application you will be notified of all of the permissions required to run that application. Please read and consider the permissions carefully. See below for a list of permissions and what it means for the application. - Cost Money -- Used for permissions that can be used to make the user spend money without their direct involvement. - Development Tools -- Group of permissions that are related to development features. - Hardware Controls -- Used for permissions that provide direct access to the hardware on the device. - Your Location -- Used for permissions that allow access to the user's current location. Messages -- Used for permissions that allows an application to send messages on behalf of the user or intercept messages being received by the user. - Network Communications -- Used for permissions that provides access to networking services. - Personal Info -- Used for permissions that provide access to the user's private data, such as contacts, calendar events, e-mail messages, etc. - Phone Calls -- Used for permissions that is associated with accessing and modifying telephony state: intercepting outgoing calls, reading and modifying the phone state. - Storage -- Group of permissions that are related to SD card access. - System Tools -- Group of permissions that are related to system APIs. At this time, we are unable to offer the Amazon Appstore for Android and associated apps to our international customers. To successfully purchase digital content from Amazon Appstore for Android, the 1-Click payment method listed on the Your Account page must be a credit or debit card issued by a U.S. Bank with a U.S. billing address. We value our international customers and hope to make the Amazon Appstore for Android available internationally in the future. 3. Enter information as if you were based in the U.S. Go to http://www.fakenamegenerator.comfor help in this regard. Enter the name, address, phone number, and credit card number (Amex, Mastercard, Visa ).